Twenty One Pilots. I don’t think I have read a bad review about them. Anyone who seems upset with this band has completely misinterpreted them as something a lot more threatening than they are. 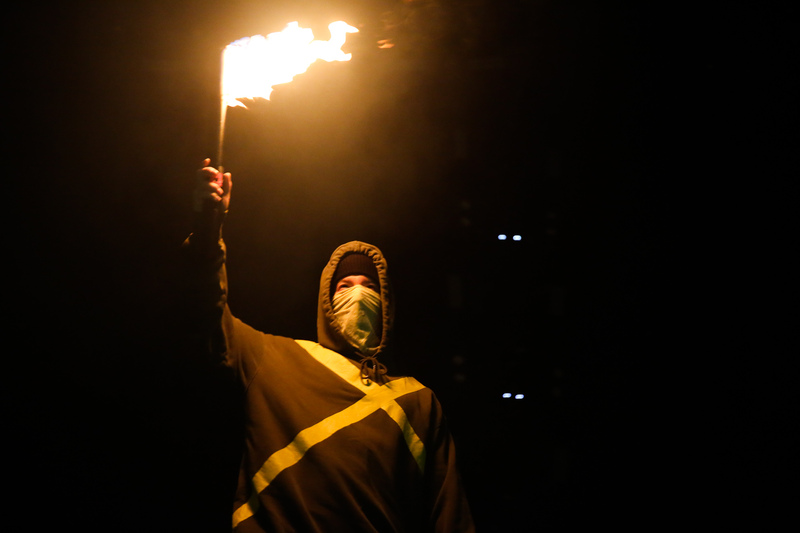 The only thing slightly threatening about Twenty One Pilots is their fans and their dedication. I counted myself lucky seeing them this time, as it was the first time I was sitting and didn’t have to camp for over a week to secure a good standing spot. The lights in Wembley start to dim and I start to regret not wearing earplugs because my ears immediately start ringing from the sheer power of the screams of the crowd. This kind of sound is lacking from some of the best artists of our generation, yet this kind of sound is filling up the arena only as the opening act wander onto stage – but I suppose that’s one step closer to seeing Twenty One Pilots wow the crowd. Twenty One Pilots made a brilliant choice by taking The Regrettes on tour with them, having them was like injecting a powerful feminist statement at the start of their concert without having to take the time to do it themselves (yes, that’s shade. If you know you know.). After seeing The Regrettes at The Old Blue Last barely 6 months before (performing to a crowd of 50 people), tears did spring to my eyes as their guitars were projected louder than ever over a Wembley arena bursting at the seams. I know things in the future will be huge for The Regrettes and I can’t wait to see how they do it. 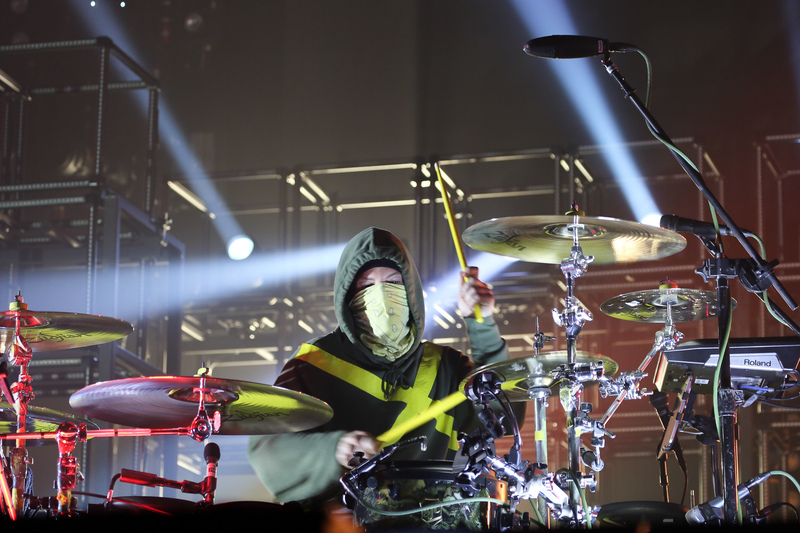 Twenty One Pilots played that night for over two hours, which is massive, really. Who, at that level of popularity, plays for over two hours? 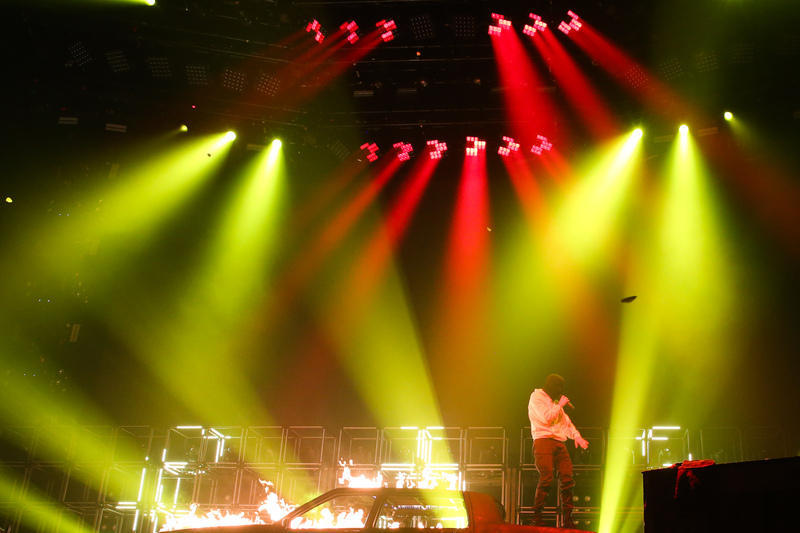 I’m pretty sure they managed to play almost every track from their new album Trench as well as covering the classics from their previous albums. I found myself getting slowly more and more tired as we reached the final songs of the set, just from dancing on the spot, so imagine how the band can put on the show night after night sounds impossible. 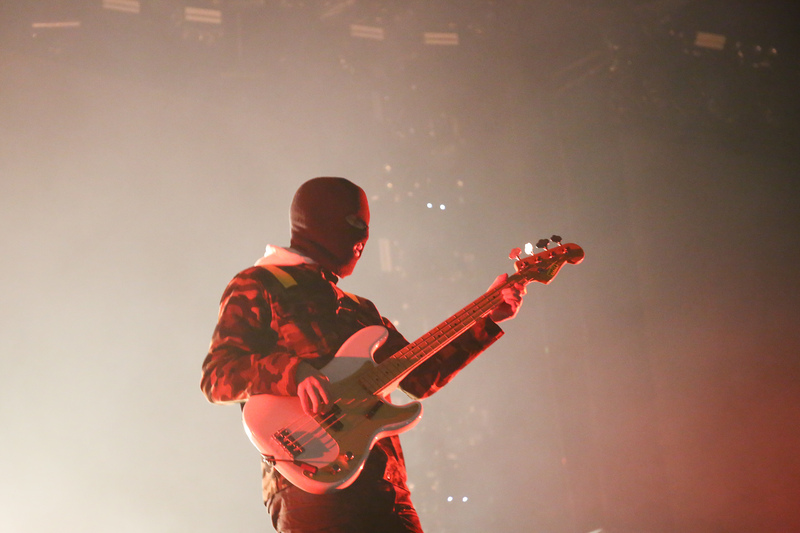 On that same note, I don’t think I have ever seen a band as committed to putting on a good show as Twenty One Pilots. I have personally seen them over 5 times over their career, and each time they have brought a fully formed performance with an emotional arc and well-planned sections. 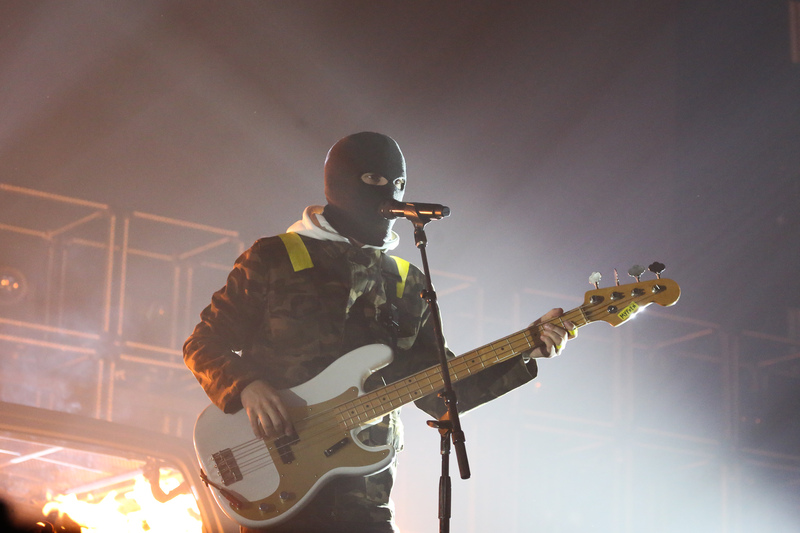 Within the show, lead singer Tyler Joseph naturally moved from platform to platform and the stage seemed to be commanded around him, moving him up and down and pulsing as if truly alive. They really managed to use the whole of the arena, moving from the stage to a B stage, to a bridge between the two stages that appeared from… well… seemingly nowhere, to suddenly turning up to finish a song behind me in the seats. Tyler was truly rinsing Wembley out for anywhere he could climb to get a better view of the crowd, and it was truly phenomenal. One (understandable but somewhat upsetting) thing that I did notice was how the band seem to get over having to play Stressed Out. It is as if they don’t want to play it, but they’ll do the bare minimum to impress those that came for the song. They seemed bound to it for the band’s whole career. Tyler sang maybe half of the song, letting the crowd fill in the gaps, as if he had stopped caring. I completely sympathise their tiredness of that song and understand their actions surrounding it, but it felt sad, like the industry had finally eaten up Twenty One Pilots. Tyler’s frontman skills are unparalleled to anyone in the current pop scene. 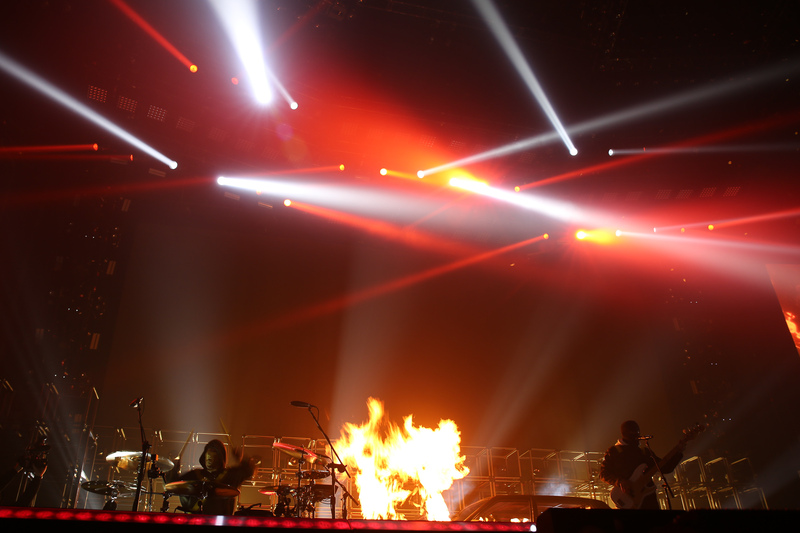 He has a powerful frontman that truly understands the psychology of controlling a crowd well. Everything he asked of the crowd they would do with full unbridled passion, forming that connection is something only Twenty One Pilots could do. Regardless of their new album, or the fact that I am growing up, I will always be a fan of Twenty One Pilots somewhere deep in my heart. The lyrics will always be on my tongue and the community will always be part of my life. This band is special. And they’re not slowing down any time soon. I love reading and watching anything to do with twenty one pilots. I am a 49 yr old mum of 1 11 yr old son, and i feel i shouldnt be a fan but i adore them and no one can stop me loving them. Tyler's intelligence and the words he uses in his songs mesmerise me. I saw them for the 1st time on 5th march '19, manchester and he turned up standing right next to me during his trick routine and was singing faily local, i waited nearly 4 yrs to see them and for that reason alone, to be 10 inches away from him was worth the wait and every penny. Cant wait to hear next album, he already knows his path hes going down n with what type of album, and the rest of his story. I would love to watch the whole manchester concert or somebody elses video from their seat when he turned up standing next to me, top row. So if you know where i can view this pls let me know, thank you. Twenty one pilots are the bedt band and only band i have ever given my heart to.